DDCS Partners (L-R): Di Simpson, Julie Dobinson, Rebecca Tetlow, Lois Clifford, Phil Davey and Alison Osmand (absent). What are the first words that come to mind when you hear the words ‘legal firm’? I bet they’re not ‘Respect’, ‘Care’ or ‘Compassion’. You would be forgiven if the first words you thought of were more along the lines of ‘Callous’, ‘Ruthless’ or ‘Money-hungry’, as these terms probably represent what has been most peoples’ experience when dealing with law firms in the past. Well, it’s time to change your tune, because we’ve managed to find a Canberra law firm with a heart of gold. Meet DDCS Lawyers — a law firm which is bucking the trend by being truly client-focused. Specialising in Family Law, Wills and Estates and Business Succession planning, the firm aims to provide more than just legal assistance. Instead, they’re committed to encouraging the entire legal profession to be a lot more than ‘just lawyers’. As DDCS Partner Julie Dobinson put it, “Everything we do revolves around people and relationships. When people seek help from us they’re often dealing with a range of highly emotional and challenging situations, potentially feeling very vulnerable and unsure of their rights. It could be a marriage breakdown, custody negotiations or even a domestic violence situation. You can’t underestimate the importance of having an experienced, caring and compassionate lawyer on your side when you’re facing what is quite possibly the most stressful and confusing situation you’ve ever faced. While the law is written in black and white, the people and the situations that it applies to are anything but. Every legal case is unique and requires a unique approach, which is exactly why it’s so refreshing to find a firm that genuinely approaches each case centred around the individual client and their needs. With an approach like this, it’s no wonder the firm has been named by Doyle’s Guide to the Australian Legal Profession as the leading Family Law Firm in Canberra for the past three years. Built on a foundation of shared goals and values based on respect, care and compassion and a refusal to settle for the status quo, their ethos is echoed throughout the entire firm and everything they do. In fact, the team at DDCS view themselves more as social advocates than lawyers. They’re so passionate about giving people a hand when they need it most, which is why all their lawyers volunteer their time to the Women’s Legal Centre on a regular basis to provide much-needed legal assistance to women and families in crisis. Furthermore, they’re committed to helping address a range of issues specifically related to domestic violence. Not only do they donate to the Domestic Violence Crisis Service, but they also regularly speak and write about the highly complex issue to help raise public awareness about the role we each play trying to stamp out this abhorrent behaviour. They even put their money where their mouth is, also supporting a range of other charitable organisations who each play an important role helping tackle a range of social issues including Hands across Canberra, PANDSI, Menslink, Domestic Violence Crisis Service, Cure Brain Cancer Foundation and the Women’s Legal Centre. Whether their clients are ending a relationship, needing advice about parenting arrangements and their rights, needing to protect their assets to ensure long-term stability for their loved ones or developing a business succession plan, with their strong client-focus, breadth of experience and in-depth understanding of every stage their clients go through, DDCS Lawyers really are there guiding their clients through every step of the process. A law firm with a heart—now that really is bucking the trend! 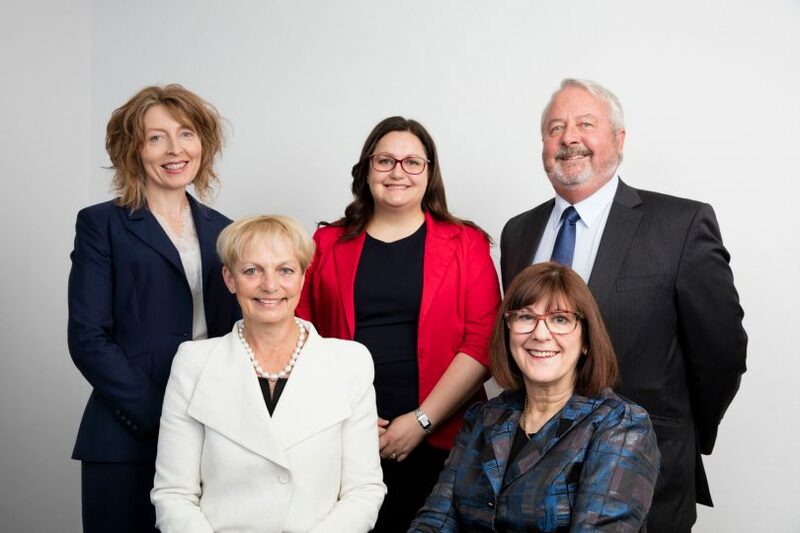 DDCS Lawyers was originally established in 2007 by founding partners, Julie Dobinson, Phillip Davey, Lois Clifford and Di Simpson and has since welcomed new partners Rebecca Tetlow and Alison Osmand. With 11 experienced lawyers and five Family Law Accredited Specialists and Canberra’s only Wills and Estates Accredited Specialist, the firm brings together a unique blend of experience and expertise. If you require legal assistance, contact DDCS Lawyers to arrange an appointment.